Over the centuries many Christian Churches on this continent have been established by immigrants who had left their homelands in Europe for search of a better future. Many had their own church affiliations and so, Presbyterian, Anglican, Lutheran, Reformed and Baptist Churches, to mention a few, having their roots in the ancient world of Europe were established on the American continent. The history of the church is fascinating. It speaks of the rule and omnipotence of the King of our Church, the Lord Jesus Christ, who directed the Gospel of Salvation to be spread by the actions of his followers. Though we branched out from Reformed Churches in this country, our roots are original in the Netherlands of the seventeenth century. At that time the Netherlands was under the rule of Spain. Its ruler, Philip II, suppressed the Reformed Faith which he called heresy. The Dutch fought an eighty years war against Spain for freedom of religion and declared themselves independent from their oppressor. It was during this time that the Reformed Churches were established, having been greatly influenced by the teachings of John Calvin, the great Reformer of Geneva. At that time the Confessions of the Reformed Churches were established which we still adhere to today – the Belgic Confession, the Heidelberg Catechism, and the Canons of Dordt. 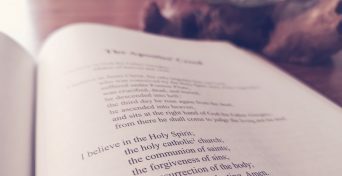 With many churches of different Reformed persuasion we also adhere also to the ancient historical Creeds – the Apostles Creed, the Nicene Creed, and the Athanasian Creed. Immanuel Reformed Church was founded in late 1994 by a number of families who wanted to start a new church under the federation of the Orthodox Christian Reformed Churches (OCRC) after having left the Christian Reformed Church for doctrinal reasons. Fourteen years later, in August 2008, the OCRC Synod voted in favour to accept an invitation to join the United Reformed Churches in North America; our church renamed to Immanuel Reformed Church of Nobleton in the process. 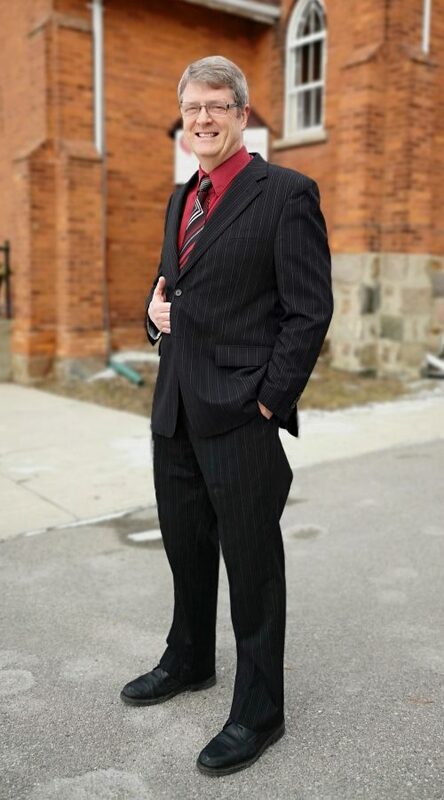 While we have seen changes over the past two and a half decades, we remain committed to the core doctrine and practices of the Christian faith and to diligently serving the Village of Nobleton and surrounding area. Today we are a generationally diverse congregation of over 120 people who call this church home. The worship of our triune God is the center of our congregation life. We bless the God and Father of our Lord Jesus Christ, who has begotten us again to a living hope through the resurrection of His Son, working obedience in our hearts through the sanctifying work of the Holy Spirit. As we heed the call to worship in this life, we are ever looking forward to the eternal Sabbath. We worship in the the church building of the Nobleton United Church, 6076 King Road, Nobleton, Ontario twice each Sunday, at 9:00am and 4:00pm, and on special days as announced. 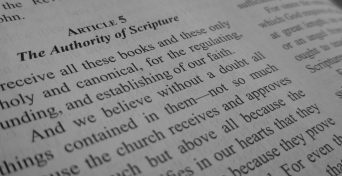 Also known as the Five Articles against the Remonstrants, the Canons of Dort were adopted at the Synod of Dort in 1618–1619, and are statements of doctrine written to define the Reformed doctrine and reject that of Arminius and his followers. Written by Guido de Brès, a preacher of the Reformed Churches of the Netherlands, who died a martyr to the faith in the year 1567. Its primary purpose at the time was to protest against the cruel oppression by the Roman Catholic government, and to prove to the persecuters that the adherents of the Reformed faith were not rebels, but law-abiding citizens. Its Author unknown, this Creed, though more explicit and advanced theologically than the Apostles’ and the Nicene Creeds, cannot be said to possess the simplicity, spontaneity, and majesty of these. Apart from the opening and closing sentences, this creed consists of two parts, the first setting forth the orthodox doctrine of the Trinity (3-28), and the second dealing chiefly with the incarnation and the two natures doctrine (29-43). Born into a loving Christian home, it was my deep privilege to know Christ as my Saviour from my early youth. The faith God planted in my heart was nurtured by His Word and Spirit in a faithful, God-honoring home and church. In the words of the Psalmist, I received a goodly heritage! 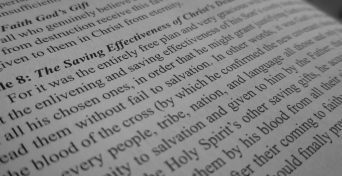 The sense of His nearness and sovereign control held me through some early struggles with covenant theology and baptism. After graduating in Classical Studies at York University in Toronto, I traveled a diverse path of theological preparation which began at Toronto Baptist Seminary, a school solidly committed to the doctrine of grace. The counsel of godly men such as the late Rev. Harry Van Dyken brought a renewed and strengthened appreciation of covenant. theology. 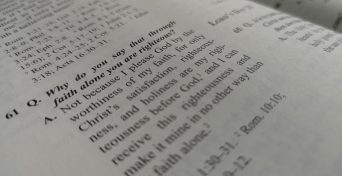 Under the auspices of a newly created pastoral training program in the Orthodox Christian Reformed Churches, I enjoyed the privilege of studying under the tutelage of a number of ministers while enrolling in additional courses at T.B.S., the Theological College of Canadian Reformed Churches, and at Mid-America Reformed Seminary in Orange County, Iowa. The office of Elder is based on the kingship of our Lord Jesus Christ, who, when He ascended, left His church in the world and provided it with officers who should rule in His name. For this reason, the Elders are called to care for Christ’s flock, maintain the purity of the Word and sacraments, faithfully exercise discipline, and to uphold the good order of the church. The office of Deacon is based on the love and concern of Christ for His own. The work of the Deacons consists in the faithful and diligent gathering of the offerings, the prevention of poverty, in the humble and cheerful distribution of gifts according to need, and in the relief of the distressed, both with kind deeds and words of comfort and encouragement from Scripture. 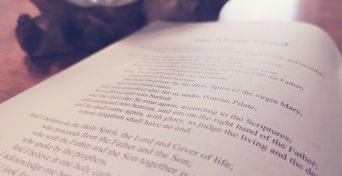 Fellowship and the study of the Scriptures is an essential part of congregational life. The treasures of God’s Word become increasingly dearer to us as we corporately delve into the Scriptures. So the gifts which the Lord has given to each individual member of the Body of Christ are used to help each other grow in grace until the day of the Lord’s return. We have a nursery facility on the main level for infants and toddlers up to 4 years old. Our team of volunteers provide a safe and caring environment so parents can be worry-free during both service times. Parents are asked to sign their children in and out and provide instructions to help us meet their needs. Cadets is a place where Leaders share the joy and wisdom of Christlike living with boys aged 9-15 years every other Friday evening, September – May, from 7-9 pm in Nobleton at the United Church Building. This is done through Bible Study, crafts, projects, games and merit badge achievement awards. The Cadets are affiliated with the Calvinist Cadet Corps. Comprised of girls aged 9-15 years, Kingdom Seekers meets every other Friday evening, September – May, from 7-9 pm in Nobleton at the United Church Building. Every season a badge is completed as a group, and the girls are encouraged to work on earning additional ones in their spare time. In addition to Bible Study, girls participate in team building and develop skills through badge work and fun crafts. Young People Society meets every Sunday evening and alternates between Bible Study at the church and Coffeehouse hosted at the homes of congregational members. Young Peoples is open to youth aged 16+. During the summer months, Young Peoples meet every Wednesday night at 7:00pm for volleyball, location to be announced. Please note our church abides by a strict Abuse Prevention Policy and all volunteers working with children have completed a Vulnerable Sector Check. For more information regarding our Abuse Prevention Policy, please contact the church directly. Every Wednesday morning from 9:30 – 11am, women meet together for prayer, Bible study, and friendship. 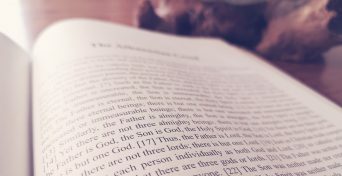 Studies vary from season to season, including topical books for practical Christian living or in-depth Bible studies. Free childcare is provided for infants and preschool children. Men’s and Women’s Bible Studies alternate every Wednesday evening at 7:30pm from September – May. Lessons are voluntarily led by members of the church. All are welcome to come and join in the meaningful and fulfilling discussions that occur at these meetings as we strive to ever increase our faith and knowledge of our Almighty King of kings and Lord of lords. Local Bible Study groups, divided by geographical locale, meet once a month in members’ homes. These studies are Elder led. please refer to our Calendar page.